The Late Show's tweet - "You just witnessed history on the Late Show with @ygofficialblink making their U.S. debut! 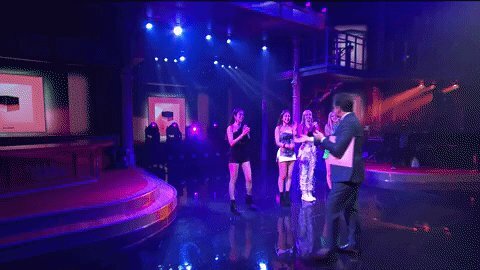 #BLACKPINK #LSSC "
"Você acabou de testemunhar história no The Late Show com @ygofficialblink fazendo o seu debut nos Estados Unidos." mr blink president how long will it take for the performance to be uploaded hd on youtube? BlackPink estreiou na tv americana. As rainhas se apresentaram no "The Late Show". Arrasaram!! thank u 💕💕first time. watching @colbertlateshow @StephenAtHome and ur funny from blinks in PH. MY Q U E E N S !!!! !